I read this a few months ago and up to now I squeal whenever someone mentions this book. Personally, retellings have become one of my favorite genres next to monarchial fantasy. 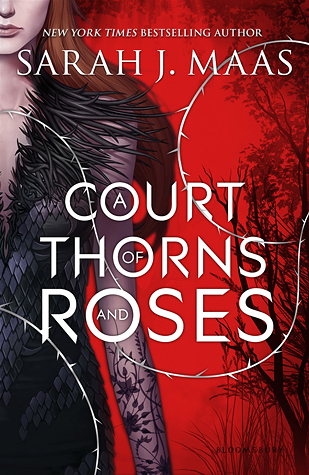 A Court of Thorns and Roses starts very lightly and is full of almost nothing but fluff and cute banter between Feyre and Tamlin until the 300th page. This book is full of many secrets that will be unveiled as the story goes and each secret is more intense than the last! I finished reading this book within a day and I fell madly in love with the writing style of Sarah J. Maas and the plot itself. It’s a really nice retelling of Beauty and the Beast with its own unbelievable twist that makes this book a really good read! I don’t think a book has ever taught me a lesson that has stuck with me as much as this one did. Hopefully the next book will be released soon (so many sequels, so little time) so I can snag myself a copy and see where this goes. ACOTAR has been added to my 10/10 book list and is in our Recommendations Page! I LOVED this book! I rated it top stars, too. My issue was that I bought it on kindle, but now I want it to be on my bookshelf because it’s one of my favorites! I didn’t even mind how much fluff there was.